Need a simple, healthy lunch to make ahead for the week? 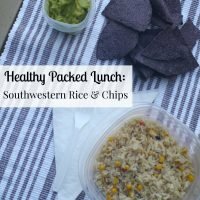 This Southwestern Rice & Chips is a great way to break out of your boring lunch routine. 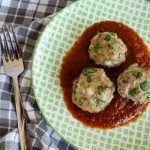 I’m teaming up with Sustaining the Powers for another Recipe Challenge today! Each month we chose a type of recipe or ingredient and challenge each other to come up with a creative idea. 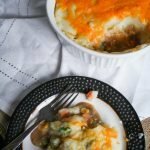 We both share the recipes on our blogs, and invite you to join in. 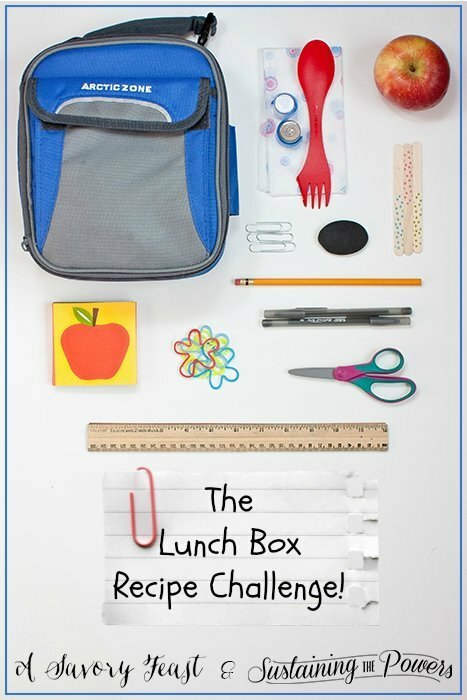 This month, our challenge was to create a recipe for a packed lunch. With my current job, I have to pack a lunch each day. Coming up with creative ideas can be tough! I usually try to spend a few hours work on my blog before going to work, so picking a lunch that I can put together for the week on Sunday night is ideal. This packed lunch is so simple to make. It won’t take you long at all to prepare enough for the week! It’s a lot of fun to eat, too. It was a great way to mix things up for me, and it was filling too. Cook the rice according to the directions on the package. Once it's cooked, mix in the corn. Divide the rice mixture into 5 containers, one for each lunch that week. Divide the guacamole into 5 small containers. Divide the chips into 5 sandwich bags. 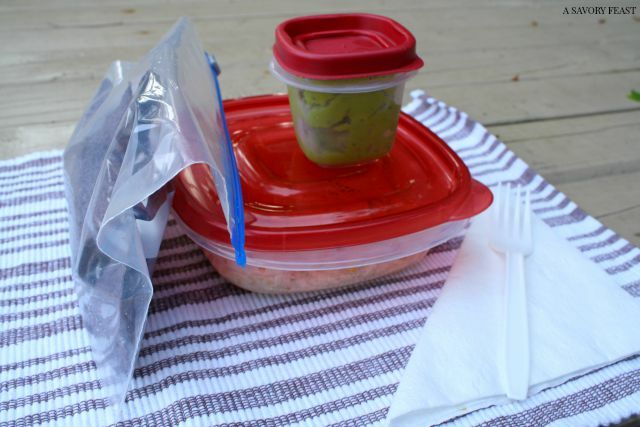 Do you have a packed lunch idea on your blog? 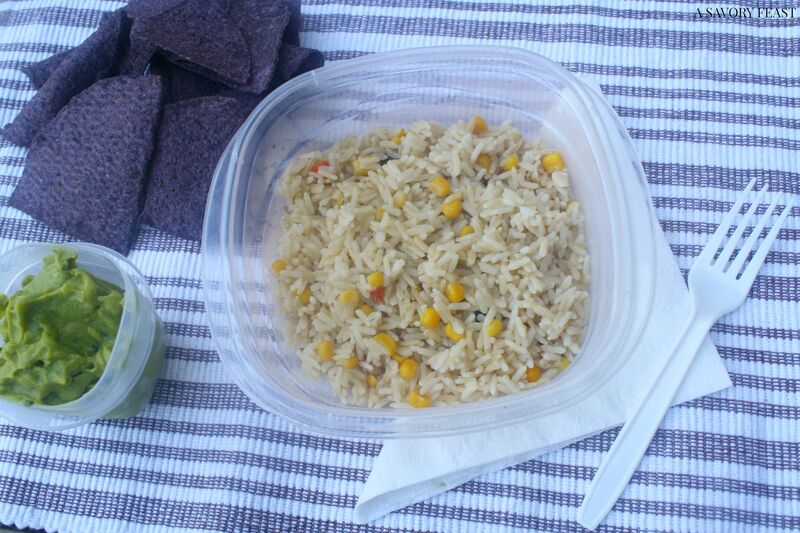 It could be a lunch box idea for kids, a grown-up lunch inspiration, or even a picnic meal! 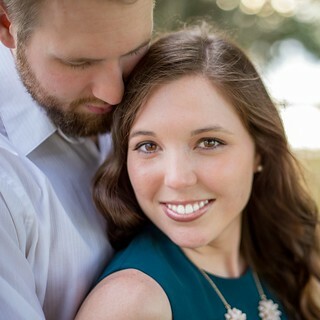 If you were inspired today and want to create new post on your blog, this link up will remain open all week so you can join in. Can you believe next month is the start of Fall? For September’s challenge, we are going to welcome the season with a pumpkin challenge! Create a dessert, dinner, drink or whatever you can come up with. Our link up will go live toward the end of the month. What’s your current favorite packed lunch idea? You’ll love this! It’s so easy to make a big batch for the week. How funny that both of our posts were about lunchy-type things today! You should link yours up with us! I always pack my lunch! That way you can control your portions, calories and it is so much more affordable than 10 dollars every single day to buy it out. It’s so much better for you and saves so much money! With my current job I don’t have the option to leave and get lunch, so it’s forced me to be creative with packing lunches. I love alternative lunches! 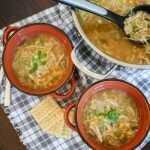 A sandwich or leftovers are always delicious, but sometimes you need something a little different. Love this idea! This is a great way to mix things up! I think I’m going to try more lunches with rice. It’s better for you than a sandwich and so easy to make in bulk. I love this because it is so doable! Thanks, Nina! I love “bento box” style lunches. It’s so much fun to make and eat them. 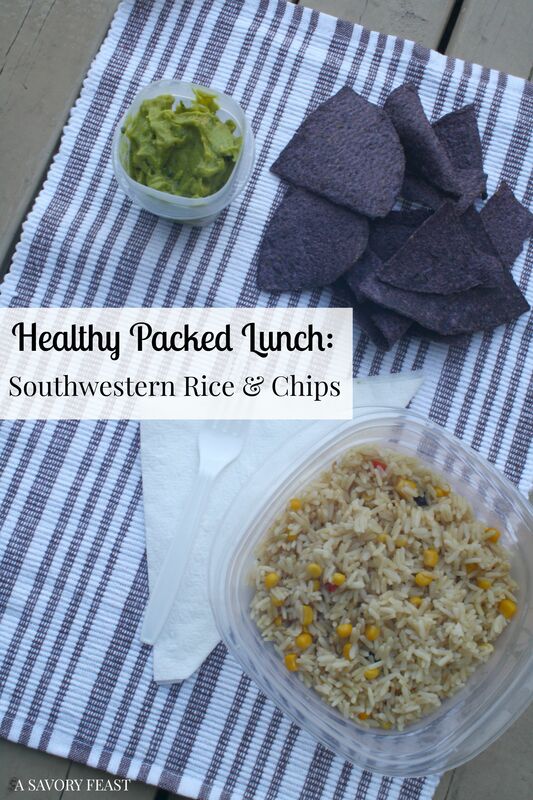 Such a smart idea and a great way to bring something different and healthy in your lunch! I don’t pack my lunch because I work from home, but I can see myself making this to eat because it sounds delicious and different than my run-of-the-mill salads! I’m going to start working from home later this year, and I think I’d still make lunches like this! It would be nice to make them all Monday and just have them ready for the week. I definitely needed this Jenna! 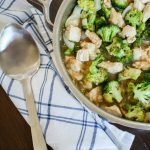 Sometimes I have to pack dinner to eat while I’m working evenings, so this link-up is super helpful. You’ll love this! It is really yummy and good for you, too. Looks great and easy! Thanks for sharing with us at the Merry Monday link party. I hope you’ll join us again next week! Sharing your post on Twitter! That looks so yummy and easy! Definitely the kind of thing I could make for dinner and then eat the leftovers. I work from home, so I don’t need to pack a lunch, but having easy and healthy lunches is still a priority for me. I loved having this packed for my lunch! Once I start working from home later this year I’ll still do lunches like this. It makes it easy to eat healthy!